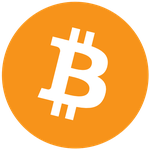 Since its release on August 6th, Bitcoin XT, a patch set on top of the existing Bitcoin Core, has focused the bitcoin community’s attention on the block size debate. Core maintainers and highly influential CEOs alike, like Peter Smith of Blockchain andSteven Pair of BitPay, have entered the online fray, fueling passion-laden discussions across Reddit, Twitter, Medium, and GitHub. Multiple solutions have been proposed to alleviate the block size debate, like 8MB blocks, 20MB blocks, and dynamic block size limits, among others. However, Bitcoin XT is gaining traction as a viable solution as it would create a hard fork in the protocol by permanently splitting the blockchain into two different ledgers.This fork will occur if 75% of miners adopt the new patch after January of 2016, and at that time, nodes running outdated versions of the software will not accept the valid larger blocks. One of the chief criticisms leveled at Bitcoin XT is the low threshold for adoption, with many core devs suggesting that 90% or 95% threshold for adoption would optimal. As of August 16th, 7.2% of all nodes were running Bitcoin XT, with the count growing steadily. Current statistics are available, updated hourly. Current attempts to debate Bitcoin XT’s feasibility, unfortunately, have been censored in many discussion forums. A single moderator on the Bitcoin subreddit has been caught deleting “hundreds of, what appear to me, to be perfectly valid comments,” according to /u/jratcliff63367, another moderator. Since Bitcoin XT would create an alternative blockchain that’s incompatible with the current bitcoin blockchain, several moderators have called Bitcoin XT an alternative cryptocurrency and removed posts discussing the changes on the Bitcoin subreddit, instructing users to discuss the topic in alternative forums.